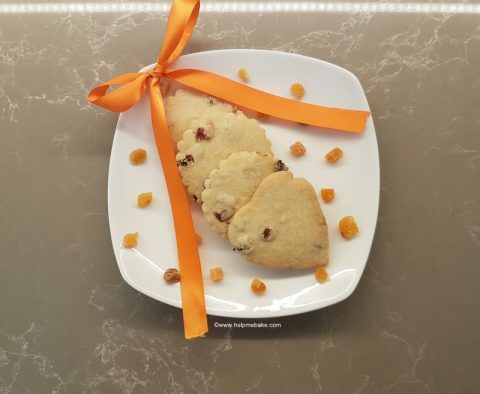 Here is a step by step guide showing you how to make Apricot Shortbread Cookies. 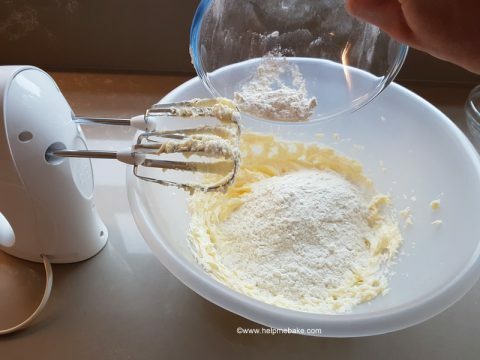 Remove your butter from the fridge and place on the kitchen counter! 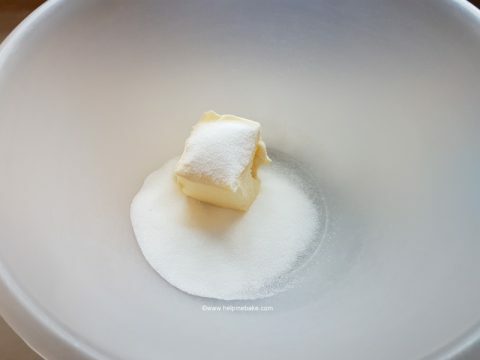 Whilst the oven is warming the butter should start to soften. 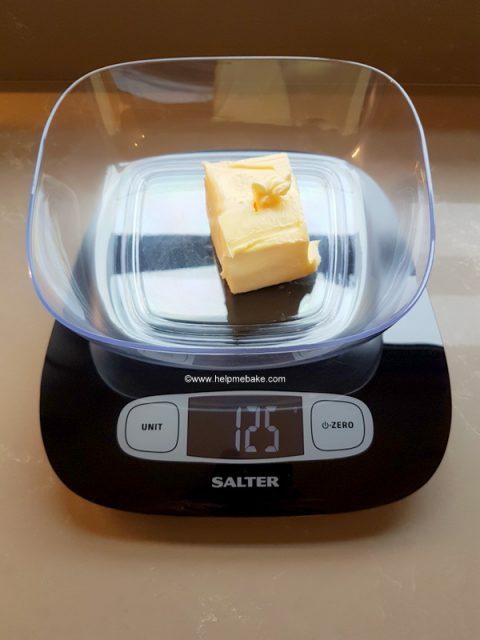 Weigh out the butter and place it in a mixing bowl. 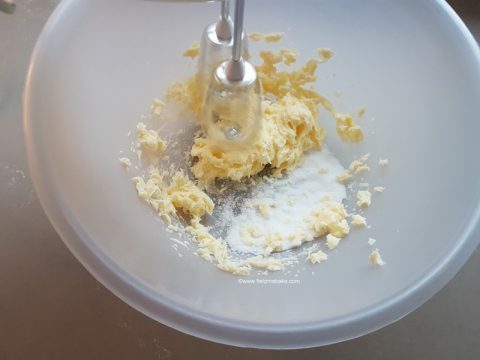 Place it in the mixing bowl. 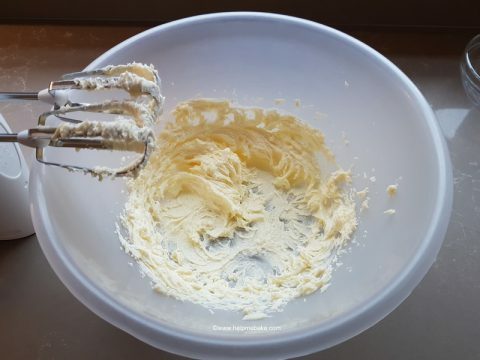 Take a hand whisk and cream the butter and sugar together. 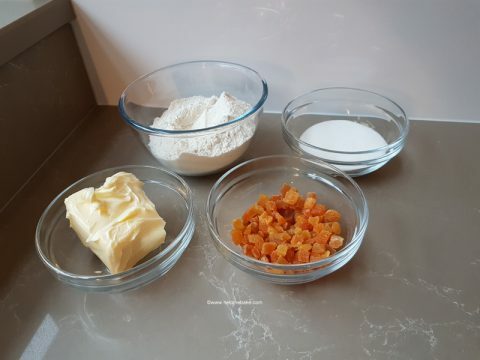 Once creamed place to one side. 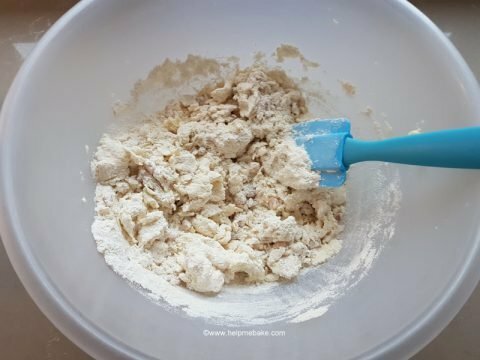 Put the flour into the mixing bowl. 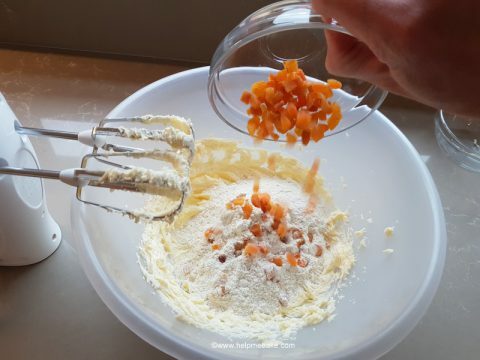 Mix the ingredients together using a spatula. 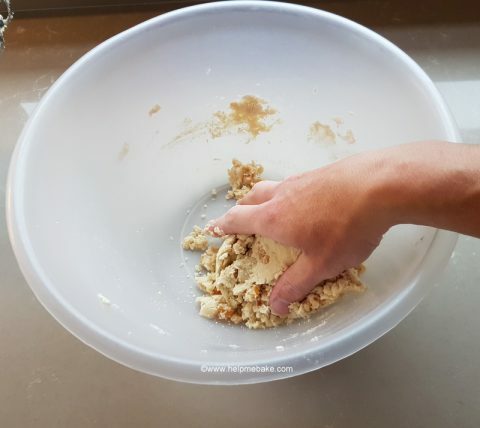 If you use the hand whisk it will bind and turn to breadcrumbs. 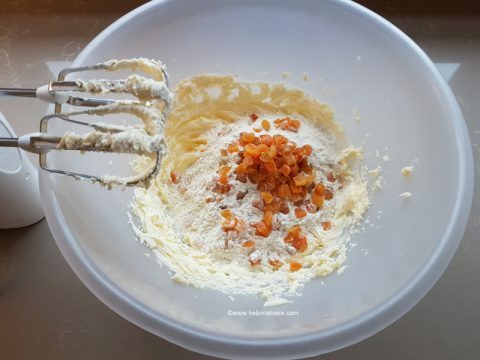 Continue to mix until ingredients start to bind together. 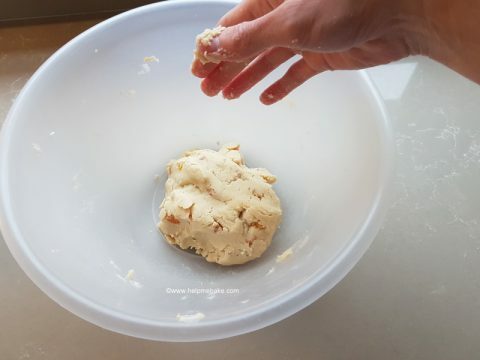 Once it takes, place your hand in the bowl and roll the rest together to form a dough. 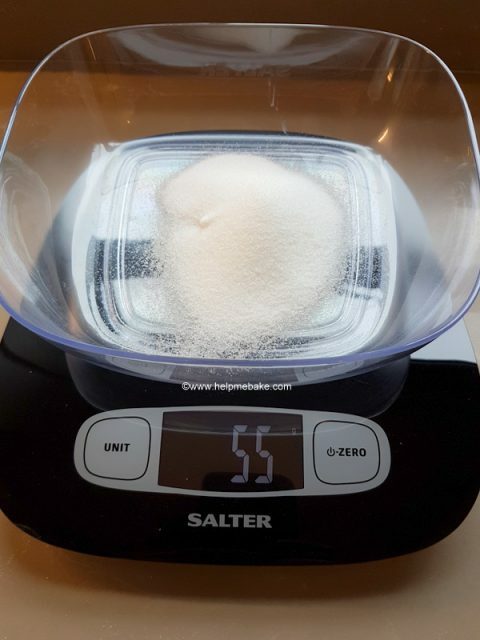 It should form into a ball. 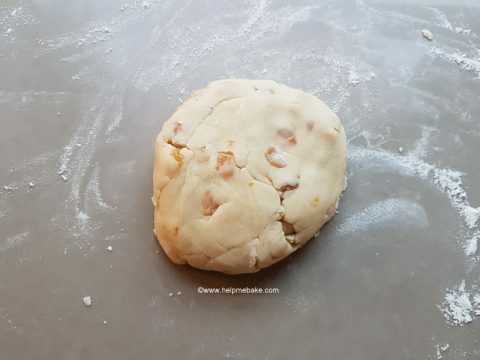 Now lightly dust a work surface with plain flour and roll the dough out. 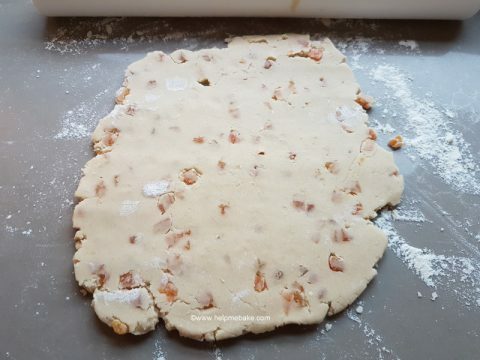 Make sure you dust your rolling pin too otherwise it will stick to it. 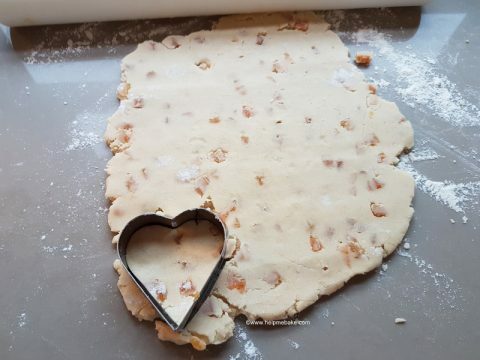 Once rolled out use a cutter to make biscuit/ cookie shapes. 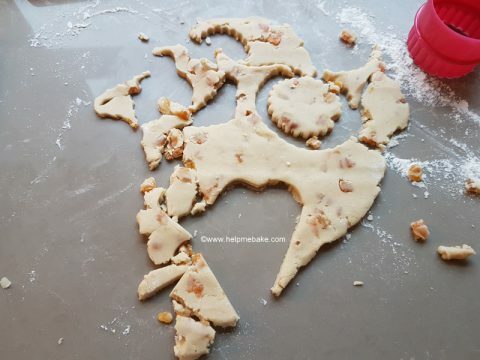 Cut out shapes until you have used all the dough. 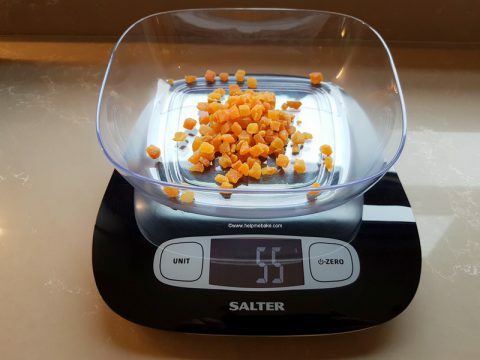 If you have some left squash it back together with your hands to form a ball and then repeat the above steps. 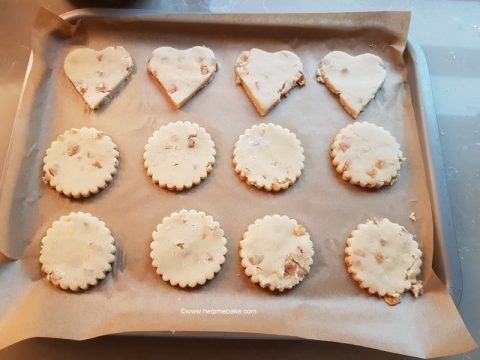 Place the cookie biscuits onto a lined tray and place in the fridge for 15 minutes. 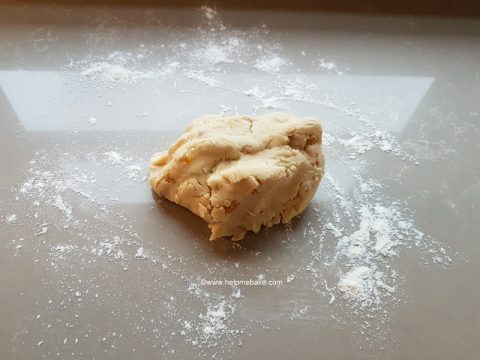 By placing the dough in the fridge you are making the butter solidify which will prevent spreading when placed in the oven. 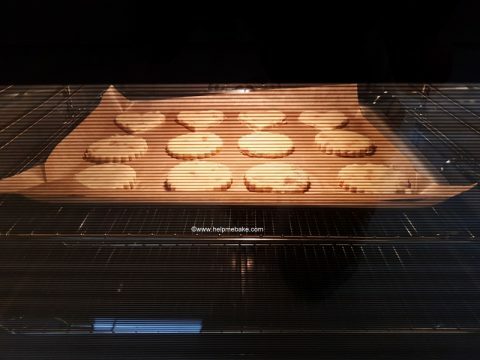 When the 15 minutes is up, place the biscuits on the middle shelf of the oven and bake for approx 16-20mins or until lightly golden. 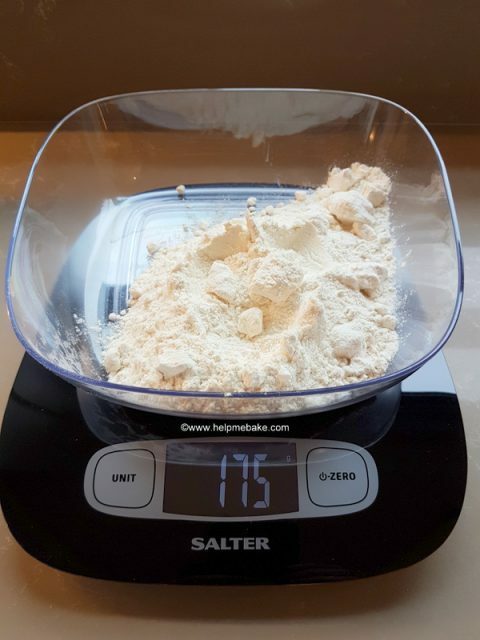 I baked mine for just over 17 minutes. 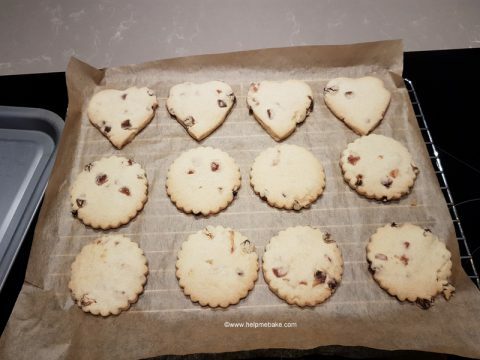 Once baked pull the baking sheet onto a wire and allow the biscuits to cool fully. 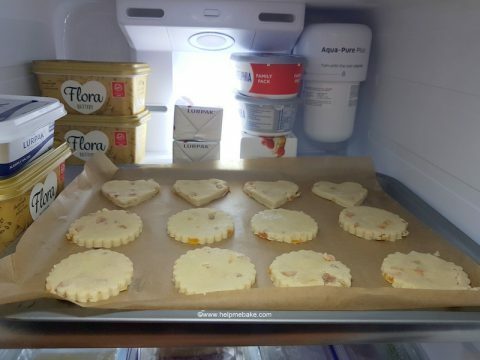 When fully cooled store in a tin or place on a plate and wrap in clingfilm (saran wrap). 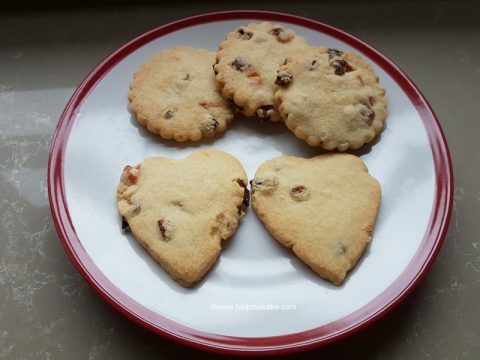 You will see that due to the pieces of apricot the heart shapes didn’t fully keep their shape, however, they were still as crumbly and melt in the mouth and were equally delicious. 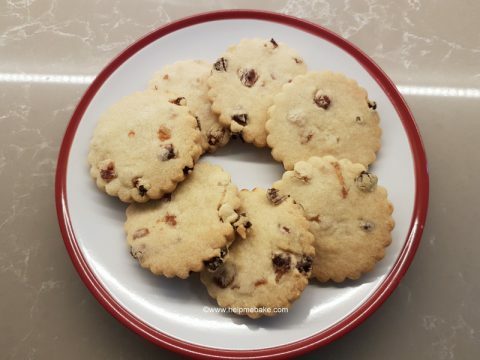 This picture was taken just before the whole batch was gone!